Early this year, something was quietly making the rounds, burning holes in avid lottery players’ pockets, draining them of their cash and leaving them dry and helpless. Now this is what I was told, so I decided to take a closer look at the so called revolution – the LotoRainbow Method. You probably already know it, but for those who don’t read this and decide whether you’d want to embrace just about anything that promises you a richer life. 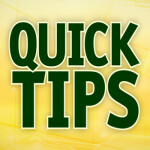 According to a mathematician, there’s a way to predict “winning” numbers. Wait, what? 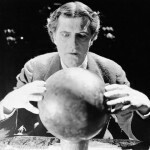 Now don’t get me wrong, you know, I’ve studied math and I know we can predict numbers, but predicting winning numbers? Now that caught my attention. On their official website, they’ve daringly mentioned that the lottery is “not just a matter of luck”, which means that if you use their software you can predict winning numbers and win the jackpot. Now my question, assuming a hundred thousand people bought the software and they predicted the winning numbers, how much do you actually bank?! They would be rich thanks to all the purchases, but what about those who bought the software to be rich? 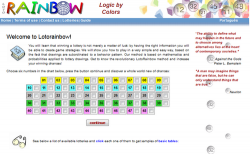 The LotoRainbow method follows a pattern behavior that quickly predicts what numbers will be drawn in the next draw. Written in miniscule font, you’ll find this on their website, “Our method is based on principles of mathematics and probability, brought to reality the extractions. Meet the revolutionary LotoRainbow and increase your chances of success.” The question does this work? If you go to their site, you’ll see a table with different colors and you will be asked to choose six numbers from the table. The entire LotoRainbow method has divided numbers by colors. After picking your six numbers, you will be given an explanation based on the different types of colors available in contrast to the number combination. Based on the game you wish to play, you will be given a probable set of numbers of which one set will be the winning numbers! (Okay, what rubbish?!) According to LotoRainbow method, this (dividing numbers by colors) can help you improve your chances of winning the jackpot. How about they test drive this one someone? Why don’t they get on the air and test this method live so that we can believe it? Because we like to give fancy names to everything, this method is termed as the “Geometry of Chance” – why chance if you’re so sure about the outcome?! When they say that the numbers provided are winning numbers, then why call it the Geometry of Chance? Why not the Geometry of Guarantee? Or The Geometry of Warranted Richness? Why chance? I’ll tell you why, because even they’re not very sure it’ll work! Makes sense? According to me you can never, ever, ever, predict winning numbers. If it was so easy, why would they sell such an invention that could possibly make them rich? If they want to give back, why not do it for free? If they claim it will work, why not test it live? So you see I don’t believe in such systems that promise you the world, but end up digging holes in the pockets. So am I trying this so called revolutionary lotto system? No way, thank you! Next please! 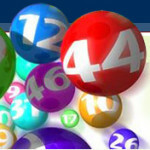 Is There Any Way of Finding the Most Popular Winning Numbers for EuroMillions?